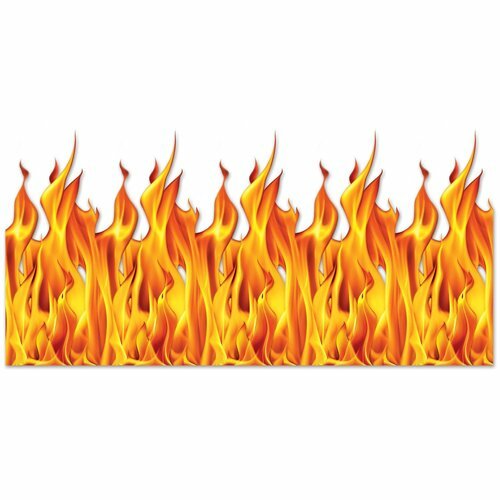 Monthly Fire Decorations Deals. Halloween Store. Incredible selection of Halloween Costumes, Halloween Decorations and more! 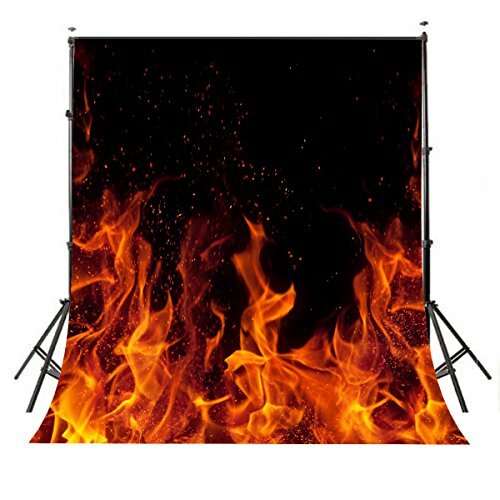 The Flame Backdrop is made of a thin plastic and measures 4 feet tall by 30 feet wide. Hang the backdrop on a wall for a Halloween decoration. Beistle 57322 3 Dimensional Campfire Centerpiece. 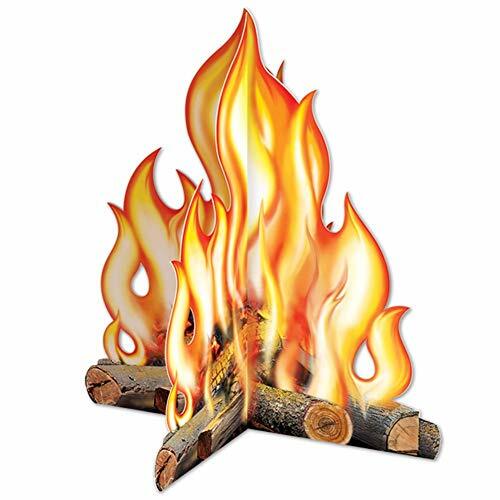 This centerpiece is printed on board stock to look like a real campfire! It measures 12 Inch. Assembly is required. Use this as a centerpiece at a western themed party. Look no further for a great decoration or pretend prop for your themed party, play, or classroom. 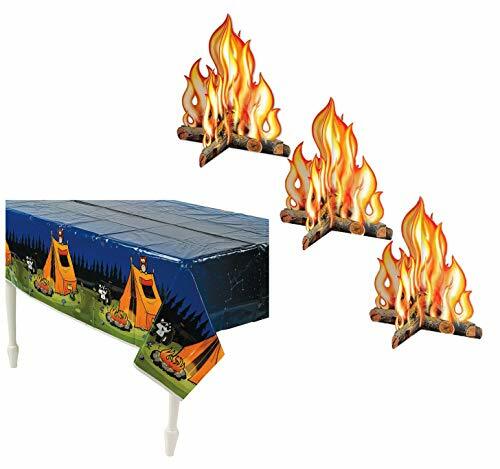 These camp fire centerpieces are the ultimate camp toy. 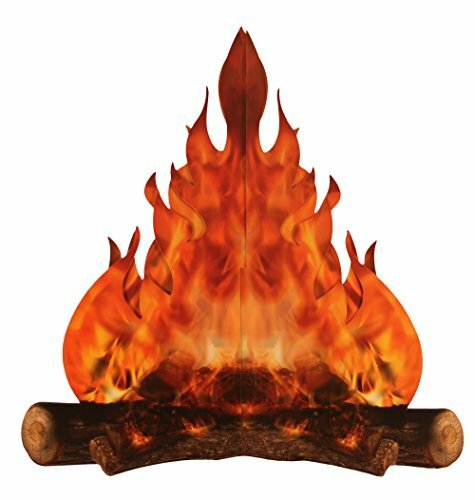 This campfire centerpiece is an inexpensive and efficient way to create and display the effect of a campfire anywhere. Made by Beistle - The Beistle Company is the oldest and largest manufacturer of decorations and party goods in the United States. Decorations and party goods are manufactured from the finest and highest quality raw materials. This, combined with unsurpassed skilled craftsmanship, creates the very best value in the market place. 100% Satisfaction Guarantee or your money back. 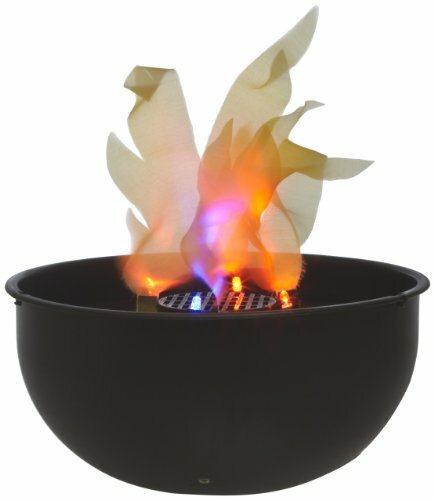 Add to cart now and enjoy this fantastic campfire piece! These are sure to spark the hunger in your party guests! 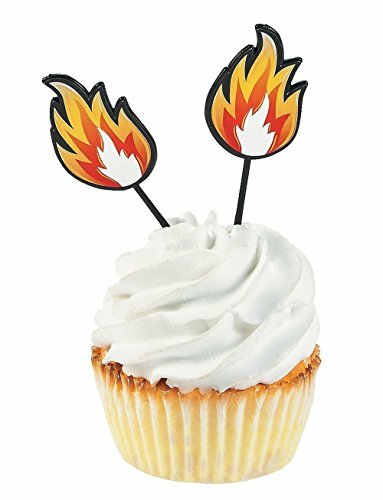 Great as cupcake picks during firefighter or superhero birthday parties! 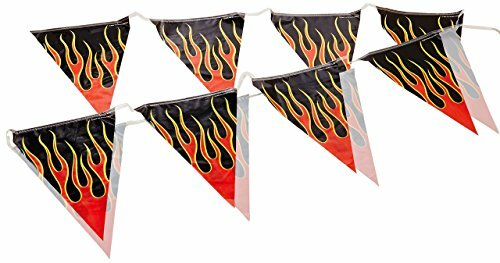 Or these plastic Fire picks could make a whimsical way to differentiate spicy food from the rest of the spread when used as party food picks. (25 pcs. per unit) 3"